Did you know it&apos;s always greener in Dublin, Ohio? We love the City with Irish Attitude and we know you do, too. Be #SoDublin while you explore our city. Don&apos;t know how? 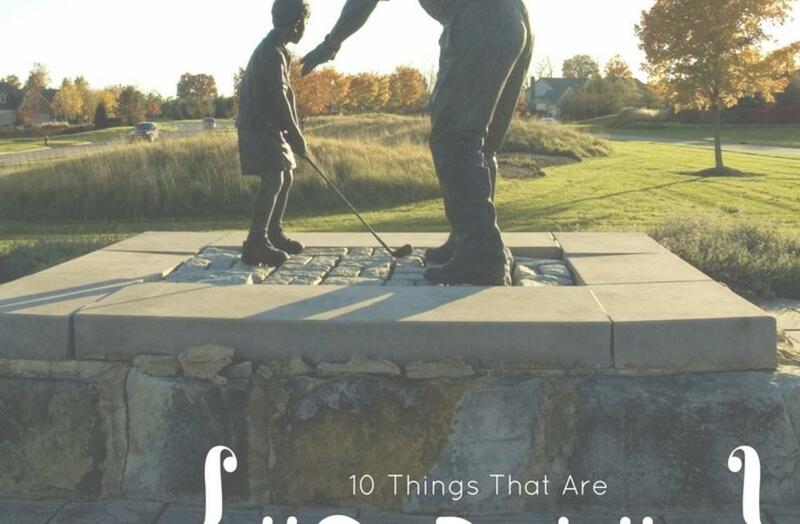 Here&apos;s a list of 10 things to do that will help you live like a local. 1. Irish Fairy Doors of Dublin- Become a Fairy Finder on the nation&apos;s first Irish Fairy Door Trail. 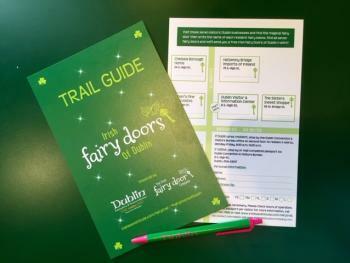 Grab your Trail Guide and explore Historic Dublin to find all 7 resident fairies to receive a FREE t-shirt. Print your Trail Guide HERE. 2. Art in Public Places- Explore the beautifully unique public art installations around town for a day of art, history and outdoor fun! Take the "Cell Phone Tour" for a comprehensive, interactive guide to all of the collections. 3. 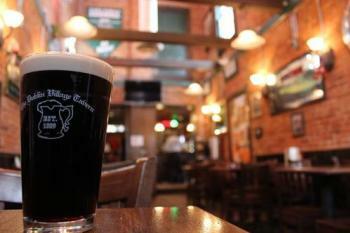 Brazenhead Pub- Don&apos;t just eat at any restaurant, eat at one of our Irish pubs. Get an Irish Reuben or Guinness beer-battered fish and chips to fuel your Irish appetite. 4. Dublin Village Tavern- This neighborhood tavern is known for their Irish atmosphere, but you won&apos;t want to miss the Irish Car Bomb Brownies and an endless list of Irish beer and whiskey to top off your meal. 5. Discover Hidden Gems- Tucked away in our 60 parks are hidden gems waiting to be discovered. Ooh and aah at the water running over Indian Run Falls or take the perfect selfie with Hayden Run Falls flowing in the background. Explore them all today! 6. Ha’Penny Bridge Imports of Ireland- Dublin&apos;s Irish Attitude come complete with great Irish gifts imported straight from Ireland. 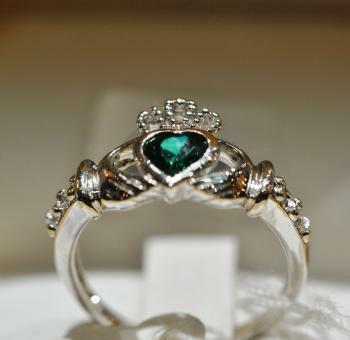 Stop by Ha&apos;Penny today to get your claddagh ring, kilt, Avoca woolen and more. 7. Ballantrae Park- The statue of dancing hares is the symbol of one of Dublin&apos;s well-known parks. This free attraction is perfect for family gatherings, picnics or just a day outside. 8. Dublin Parks- Get outdoors and explore all of the unbeatable views Dublin has to offer. Mother Nature shows off in our 100+ miles of trails and recreation spaces. 9. St. Patrick’s Day- Celebrate the greenest day of the year in the City with Irish Attitude! Don&apos;t miss activities throughout the day like the pancake breakfast, inflation celebration and St. Patrick&apos;s Day parade to see bagpipers, shamrock balloons, leprechauns and all things Irish! a. Don&apos;t forget to spend the evening at the Blarney Bash for live entertainment, food trucks, beverages (Irish Whiskey for those Irish adults out there) and more! 10. 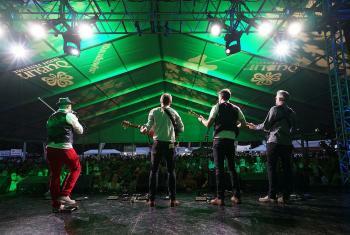 Dublin Irish Festival- Celebrate 30 years of Irish Attitude at this year&apos;s Dublin Irish Festival! Explore the cultural stages, pet Celtic canines and enjoy Irish-style food and beverages as you listen to traditional Irish music, watch Celtic dancers and shop the Emerald Isle.